One of the biggest challenges people in general, including mundane scholars, find in identifying an avatar, or incarnation, is when God descends on the Earth in His original human-like form. They do not realize that God's original form is human-like and that is one reason human birth is considered the best birth. The difference is, unlike ours, God's transcendental body is not made of material elements. His body is full of eternity, knowledge and bliss and He possesses all opulences in full. Avatar is a known word these days even in the western countries. Internet and social media users know how they can change their avatar. Going by that definition, avatar roughly means a profile picture. It could be a picture of a person, an imaginary image, a random design or even a cartoon. But does that all an avatar mean? The Sanskrit word “avatAra”, pronounced as “avatAr” has a specific meaning in the Vedic scripture, from where this word originates. Surprisingly, Wikipedia erroneously states that the word “avatar” does not appear in the Vedic literature. The issue lies with the author’s definition of Vedic literature. There are several points that we need to take note of from these verses. An avatar is not a temporary manifestation of God. As mentioned earlier, an avatar is one who descends. When someone descends, it is to be understood that he existed in a higher realm before descending. An avatar, or incarnation of God, is not what many suggest; the formless assumes a form. That is a wrong definition of avatar. In fact there is absolutely nothing in the existence that is truly formless. When the Vedas talk about the formless, they only refer to the form of God without material qualities. In the material world we have got used to thinking in terms of forms. In this world, all forms are created, limited, and are subject destruction. As soon as we hear of God’s form, we tend to misunderstand the transcendental form of the Lord, which is neither created, limited, nor subject to destruction. 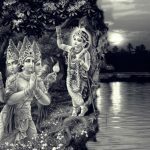 Knowing this shortcoming of conditioned souls, the Vedas sometimes say that God has no form while in fact it only refers to forms which are not bound by the laws of material nature. God exists eternally in His eternal kingdom. Just like the material world is made of five gross elements- earth, water, fire, air and ether, the kingdom of God, or the spiritual world, is primarily made of three spiritual elements- eternity, knowledge and bliss, or sat, chit and ananda. Avatars are of different types and they manifest different opulences. 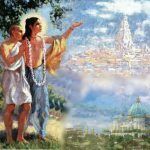 Srimad Bhagavatam describes when in the past such avatars appeared, what they did and when who will appear in the future. Types of avatars include Purushavatars, Gunavatars, Lilavatars, Shaktyaveshavatars, Manvantaravatars and Yugavataras. They appear all over the universe. Srimad Bhagavatam and other Vedic literature, especially the Puranas, talk extensively about these incarnations. Avatars are not different Gods. God is only one, and the same God appears in different forms and known by different names. This understanding is crucial for maintaining religious harmony in the world. God cannot be two, or else He is not God. The demigods, or devas, on the other hand, are living entities like human beings but with supernatural powers. They are not God. They are devotees of God. When God descends from His kingdom, He comes for more than one purposes. He descends at specific intervals and performs premeditated pastimes. We need to keep in mind though that God is not bound by the laws of nature nor by the time and space. He can appear at His sweet will and in the form of His choice. But knowing that there will be countless fraudsters claiming to be God’s incarnations, the Vedic literature most accurately describes God’s schedule of arrivals on the Earth, His form, attributes, activities and His mission in a particular avatar. Note how the Lord clearly calls them mudhas, or fools. Very often such bewildered people attempt to interpret God’s words in their own ways and by doing so mislead others. Indeed, a blind cannot safely guide another blind on the right path. To counter such misinterpretations and to establish genuine knowledge the Lord sends His pure representatives and confidential associates to this world. In recent times one such pure representative, Srila A.C. Bhaktivedanta Swami Prabhupad, carried the message of Lord Krishna in its purest form to the western world and established a worldwide movement to spread the holy names of Lord Krishna in every corner of the world. All the incarnations of God perform uncommon activities. They make impossible possible. Like Lord Vamana covered the entire universe in three steps! Lord Varaha carried the Earth on His tusks! Lord Rama engaged monkeys to build a stone bridge on the ocean and killed the otherwise invincible demon Ravana! Lord Nrsimha appeared in half-lion-half-man form from a pillar! In His fish incarnation, the Lord quickly increased His size from a tiny fish to a gigantic sea creature that even the ocean could not accommodate! No wonder less intelligent people call these historical events myths. Lord Krishna, who is the source of all incarnations, performed many wonderful pastimes. He lifted the Govardhan hill on His tiny finger, killed ferocious demons right from His childhood, including demoness Putana and king Kamsa, expanded Himself into 16108 forms to live with His 16108 queens, made the sun to set before his stipulated time and again rise during the famous Kurukshetra battle, and so on. Srimad Bhagavatam (1.3.28) categorically states that all the avatars are either expansions or expansions of the expansion of the Supreme Lord, but Lord Krishna is Svayam Bhagavan (ete chamsha-kalaaḥ pumsaḥ krishnas tu bhagavan svayam), or the Supreme Lord Himself. He is the primeval Lord, the fountainhead of all avataras. Lord Krishna in His original form descends only once in a day of Lord Brahma, called Kalpa, which comprises of 1000 Divya yugas. 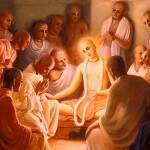 A divya yuga is the total of four yugas, i.e. Satya yuga (1728000 years), Treta yuga (1296000 years), Dvapara yuga (864000 years) and Kali yuga (432000 years). That makes one day of Lord Brahma equivalent to 4,320,000,000 earthly years. In Kaliyuga, however, to deliver the fallen conditioned souls, the Lord does not descend to kill miscreants. Instead He kills demoniac tendencies in their hearts. Purifying hearts, especially in Kaliyuga, is more difficult than killing demons. But by the inconceivable mercy of Lord Chaitanya we can see people from all faiths and all walks of life have been able to embrace Krishna consciousness in a short period of time abandoning ill habits and evil tendencies. 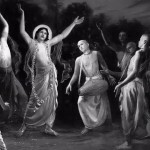 Lord Chaitanya made even wild animals dance in ecstatic love of God when He passed through the forests of Jarikhand in India. 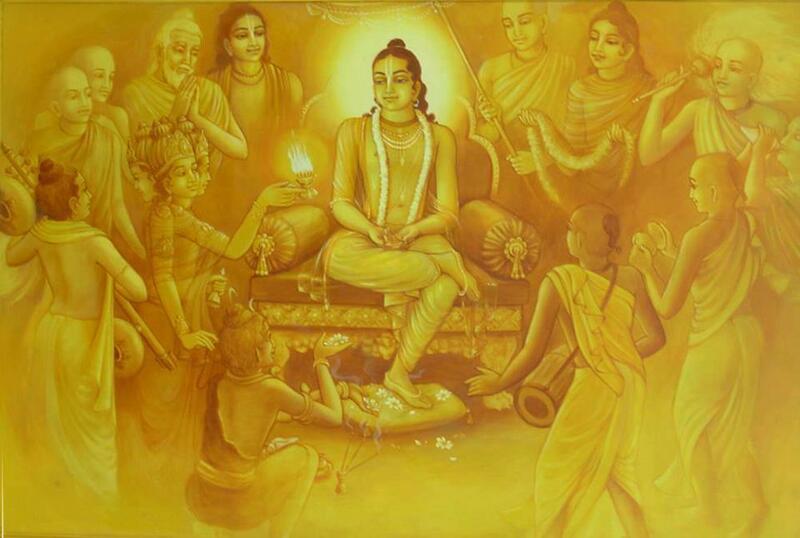 He appeared on the Earth just a few hundred years ago and inaugurated the Sankirtana movement, the yuga dharma for this age. 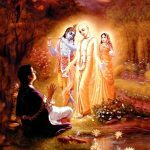 Vedic scriptures reveal that Lord Chaitanya is none other than Lord Krishna Himself come back in the form of His devotee. Quoting elaborately from a good number of Vedic scriptures like Bhagavat Purana, Adi Purana, Kurma Purana, Garuda Purana, Narasimha Purana, Padma Purana, Narada Purana, Brahma Purana, Bhavisya Purana, Agni Purana, Matsya Purana, Vayu Puran, Markandeya Purana, Varaha Purana, Vamana Purana, Upa Purana, Ananta Samhita, Mahabharat, Atharva Veda, Sama Veda, Chaitanya Upanishad, Chandogya Upanishad, Svetasvatar Upanishad, Purusa-Bodini-Upanisad, this article shows how Lord Chaitanya is the Supreme Personality of Godhead Krishna Himself, the source of all Vishnu avatars. Thus we can see that an avatar is not a whimsical creation of a fertile mundane brain. Avatars are predicted and when they appear on the Earth their name, place of appearance, qualities and pastimes are all according to the descriptions found in the Vedic text. Some people argue that why only Vedic text and why not other scriptures. The reason is, the Vedas deliver not only the most accurate but maximum information on how the material world, consisting millions of universes, is created, maintained, annihilated and how this cycle goes on perpetually. Vedas are like the spokesperson for God in this material world. They also describe how and why different religious practices come into existence, for a good cause, at a given time and how they disappear at another time. It is all mentioned in different Vedic texts for everyone to see. It is a wrong notion that the Vedas are only for the Hindus and to name it Hindu scripture. They are for everyone to benefit from.